First of all I have to apologize for the delay in releasing this episode. It was recorded in the beginning of January, but only now I had the time to edit and publish. Hope you understand. We start the show by answering a few listener questions (see below), continue with a short revision of some interesting topics on the news, namely the new “wireless lens” cameras and the discovery of a large amount of work by Vivien Maier, and get into the main topic talking about mobile photo apps. Unfortunately we only had “one side of the equation” with iPhone users, no Android or other platforms were discussed. 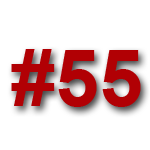 UPDATE: Episode #56 is also recorded and will be released soon. Trey Ratcliff is our guest on that one. Still on mobile photo apps, we have a bunch of giveaway codes for 2 other apps, Photo Verse and Pixelsync but you’ll have to listen to it to know how to score one of these codes. David Falk: Hi guys, I need to get a shutter release cable and I would like your opinion on the main features I should be looking at. Any particular one you recommend? Thanks and keep up the great work with the show. Peter Johnson: I have some extra batteries that I use when travelling. When not travelling I keep using and recharging the same battery. Do you think this is the best approach? Would you keep your spare batteries recharged or let them dry and recharge only before needing? Matt Kuhn: Hey guys, I have a quick tech question for you. I shoot raw, and would like to be able to import my images and keep the in camera settings after import, so black and white or sepia or saturation or … maintains the same as it was shot in camera, instead of readjusting my images in the computer. I import and do the bulk of my processing in LR3, and would love to hear that this is possible. The Advatage is that for different cameras you do not need different remotes, you only need to change the cabel ;-). On the website is a “where to buy” map! Hi, you did not reference all the apps Jim mentioned, and i have hard time finding the Google app which recognizes the art. Can you write the name of the app? Thanks. BTW- great show, as usual, I just downloaded a bunch of new apps for my iPhone :).